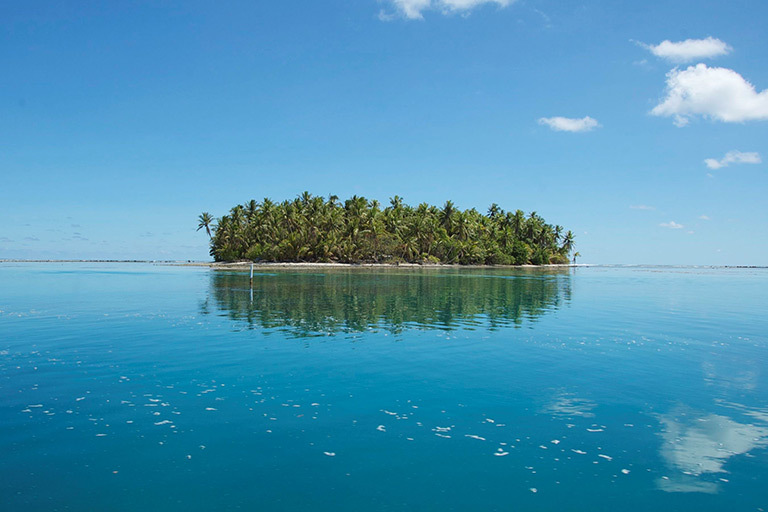 In the middle of the pacific ocean lies a micronation called Tokelau, inhabited by about 1400 souls. This tiny island country is the second largest domain in the world after .com, with over 25 million registrars in 2014. How did this happen? Every country is assigned a top level domain (TLD), only Tokelau wasn’t doing anything with it. In 2000 there were only four phone lines, and none of the inhabitants had even seen a webpage. A Dutch entrepreneur came to the islands with the idea to offer the web domains of Tokelau (.tk) for free, and make money with advertisements on the webpages. Now one-sixth of the Tokelau economy comes from .tk domain revenue. Thanks to the 25 million digital inhabitants, Tokelau has put itself on the map, but perhaps not in a way that will benefit the islanders in the long run. No land is more than two meters above sea level, and sooner or later this micronation will dissappear in the sea. By then it will only exist online, digitally inhabited.